Sale prices include: R900k, R600k, R600k, R550k, R450k, R450k, R440k etc. MASTER OF MY FATE 6 wins from 1200m to 1800m, R705,700, Kenilworth Premier Trophy, Gr.2, Peninsula H., Gr.2, Mercedes Benz Trucks H., Clairwood Spar KZN P., Rugby 5 H.. He entered stud in South Af in 2014. Sire of 78 progeny to race, 32 winners (41.0%), earnings of over $580,000, 3 stakes winners, inc. TWIST OF FATE (15c, Counter Action, Russian Fox). 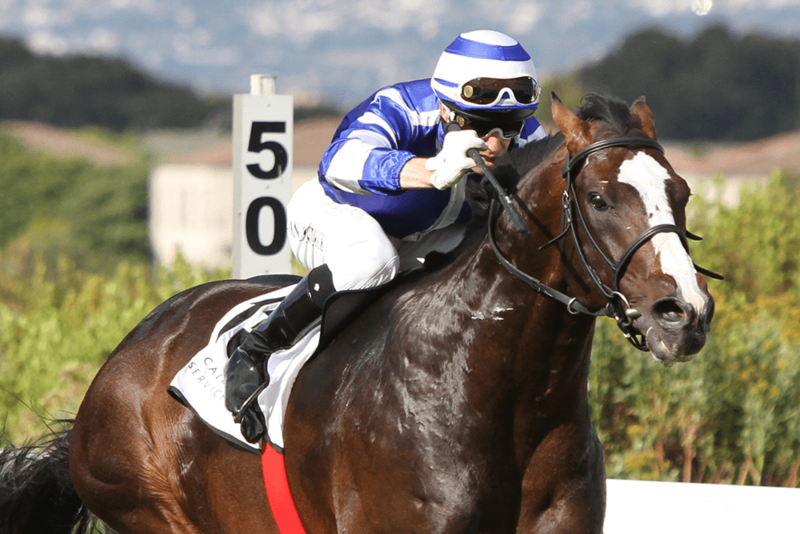 5 wins-3 at 2-from 1000m to 1800m to 2018-19, R1,837,850, Kenilworth Cape Classic, Gr.3, Politician S., Gr.3, Somerset P., L, 2d Kenilworth Cape Guineas, Gr.1, CTS 1600, 3d Greyville Premiers Champion S., Gr.1, Kenilworth Concorde Cup, Gr.2, 4th Kenilworth Summer Juvenile S., L.
GIFT FOR THE GAP (15c, Fort Wood, Badger Land). 4 wins-1 at 2-from 1800m to 2400m to 2018-19, R320,151, Turffontein Derby Trial, L, Book for the Grand Heritage P., 3d Vaal Meet the Celebrities in November P.
BASADI FAITH (16f, Captain Al, National Assembly). 3 wins at 2 in 2018-19, R225,000, Turffontein Ruffian S., L, Vaal Itsarush.co.za Juvenile P.
Lickerio (15c, Fort Wood, Western Winter). 3 wins at 1200m, 1400m in 2018-19, R209,000, Greyville Gold Circle Podcast Graduation P.
Master Keys (15f, Tiger Ridge, College Chapel). 2 wins-1 at 2-at 1200m, 1400m to 2018-19, Scottsville Gold Circle Podcast Juvenile P., 2d Greyville Call Telebet Track & Ball Fixed Odds H.
Purple Persuasion (16f, Go Deputy, Western Winter). 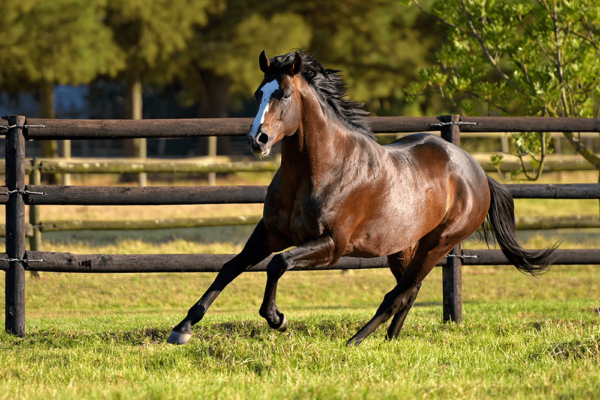 Winner at 2 in 2018-19, Greyville Meranti Pharmacy Juvenile P.
Oh Mercy Me (15f, Badger Land, J. O. Tobin). Winner at 2 in 2017-18, 3d Vaal Betting World H.
Goliath Heron (15c, Silvano, Harry Hotspur). 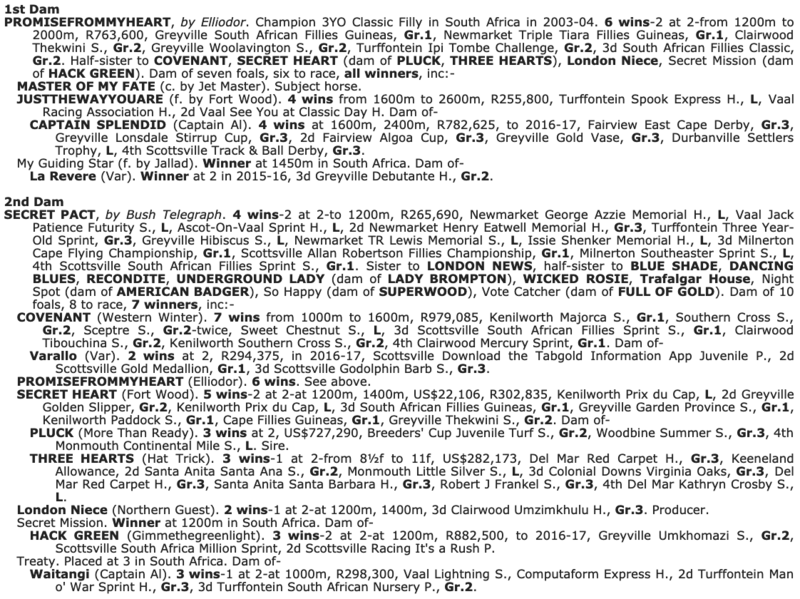 Winner at 2 in 2017-18, 3d Kenilworth Tab H., 4th Scottsville Gold Medallion, Gr.1, Godolphin Barb S., Gr.3. Silverstone Air (15c, Fort Wood, Royal Prerogative). 5 wins-2 at 2-from 1200m to 1800m to 2018-19. Masterful (15c, Victory Moon, Secret Prospector). 3 wins-1 at 2-at 1200m, 1400m to 2018-19. The Master (15c, Crimson Waves, Damascus Gate). 2 wins at 1400m, 1600m in 2018-19. Triple Fate Line (15c, Trippi, Fort Wood). 2 wins at 1200m in 2018-19. Kawakami (15f, Jallad, Flaming Rock). 2 wins-1 at 2-at 1400m to 2018-19, R153,500. Driving Miss Daisy (16f, Tiger Ridge, Sportsworld). Winner at 2 in 2018-19. Blush Scarlet (15f, Jallad, Waterville Lake). Winner at 1600m in 2018-19. Whiskey Road (15c, Lundy’s Liability, Elliodor). Winner at 1600m in 2018-19. Lucky Dancer (15c, Tiger Ridge, Sportsworld). Winner at 2 in 2017-18. Face of an Angel (15f, Jallad, Secret Prospector). Winner at 1600m in 2018-19. In the Stars (15f, Al Mufti, Free State). Winner at 1000m in 2018-19. Dirty Harry (15c, Rich Man’s Gold, Jallad). Winner at 1900m in 2018-19. Pink (15f, Dynasty, Ringaro). Winner at 1400m in 2018-19. Bushiri (15f, Badger Land, Royal Prerogative). Winner at 1400m in 2018-19. Little Audrey (15f, Captain Al, Wolfhound). Winner at 2000m in 2018-19. Mastagambit (15c, Western Winter, Elliodor). Winner at 1200m in 2018-19. Indi Anna (15f, Argonaut, Green Desert). Winner at 1600m in 2018-19. Clouds of Witness (15c, Jallad, Halo). Winner at 2000m in 2018-19. Master Newton (15c, Spectrum, Bletchley Park). Winner at 1300m in 2018-19. Magic’s First (15f, Fort Wood, Western Winter). Winner at 2400m in 2018-19. Mistressofmyfate (15f, Golden Thatch, Elliodor). Winner at 1400m in 2018-19. Fateful (15c, Lundy’s Liability, Soviet Star). Winner at 1400m in 2018-19. 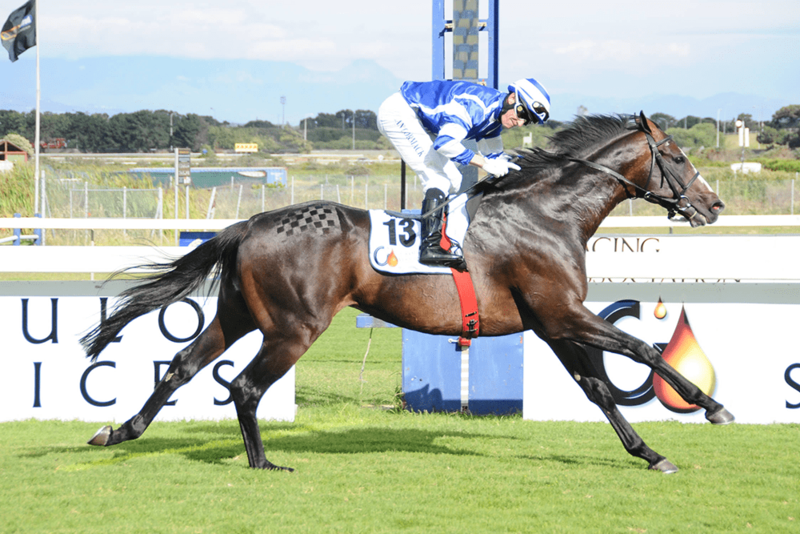 JET MASTER Joint South African Horse of the Year. Champion Older Classic Male & Champion Older Male Sprinter in South Africa in 1998-99 & 1999-2000. 17 wins from 1000m to 1600m, R2,917,058, Kenilworth Queen’s P., Gr.1-twice, Clairwood Nissan Challenge, Gr.1, Mercury Sprint, Gr.1, Kenilworth Cape Argus Guineas, Gr.1, Cape Flying Championship, Gr.1, Scottsville Golden Spur, Gr.1-twice, Turffontein Keith Hepburn Champion S., Gr.2-twice, Clairwood Kwazulu-Natal Breeders Championship, L, 2d Gosforth Park Germiston November H., Gr.1, Clairwood Gold Challenge, Gr.1, Gosforth Park Classic, Gr.1, 3d Turffontein Dingaans H., Gr.2. He entered stud in South Af in 2001. 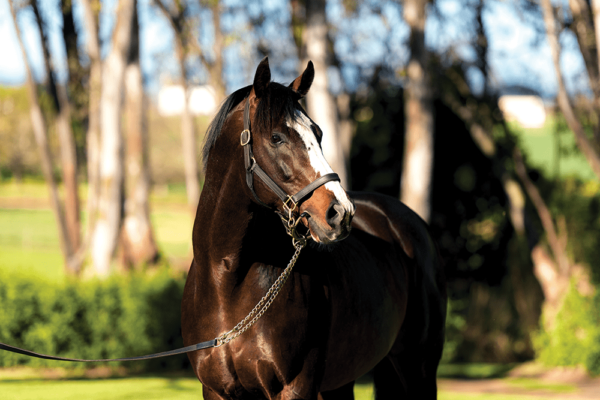 Champion Sire in South Africa in 2006-07, 2007-08, 2008-2009, 2009-10, 2010-11, 2011-12 & 2013-14. Leading Sire of 2YOs in South Africa in 2004-05. 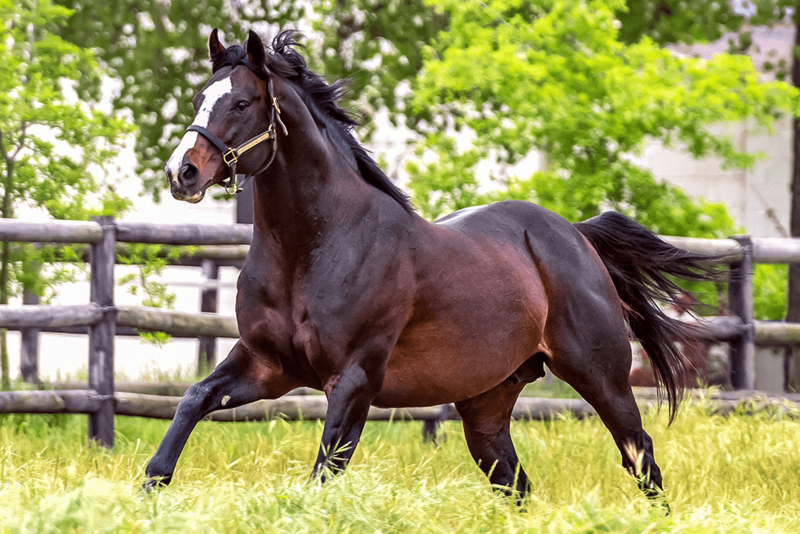 Sire of 658 progeny to race, 512 winners (77.0%), earnings of over $28 million, 75 stakes winners, 62 stakes placegetters, inc.
POCKET POWER (02g, Prince Florimund, Prince Sao). Horse of the Year in South Africa in 2006-07, 2007-08 & 2008-09. Champion Miler & Older Male in South Africa in 2006-07, 2007-08 & 2008-09.20 wins from 1400m to 2400m, R9,959,640, Greyville Durban July H., Gr.1, Kenilworth J&B Metropolitan H., Gr.1-3 times, Clairwood Gold Challenge, Gr.1, Kenilworth Queen’s P., Gr.1-4 times, Green Point S., Gr.2-3 times, Winter Guineas, Gr.3, Winter Classic, Gr.3, Winter Derby, Gr.3, Clairwood Pinnacle S., Greyville Betting World Sports Betting Pinnacle S., Kenilworth Sarabande Pinnacle P., 2d Clairwood Gold Challenge, Gr.1, Champions Cup, Gr.1-twice, Kenilworth Merchants S., Gr.2, Diadem S., Gr.2-twice, Sarda S., 3d Kenilworth J&B Metropolitan H., Gr.1, Clairwood Gold Challenge, Gr.1, Champions Cup, Gr.1, Kenilworth Lightning S., 4th Greyville Durban July H., Gr.1, Kenilworth Queen’s P., Gr.1, Clairwood Gold Challenge, Gr.1, Greyville Drill Hall S., Gr.2. J.J. THE JET PLANE (04g, Northern Guest, House Guard). Champion Sprinter in South Africa in 2007-08 & 2009-10. 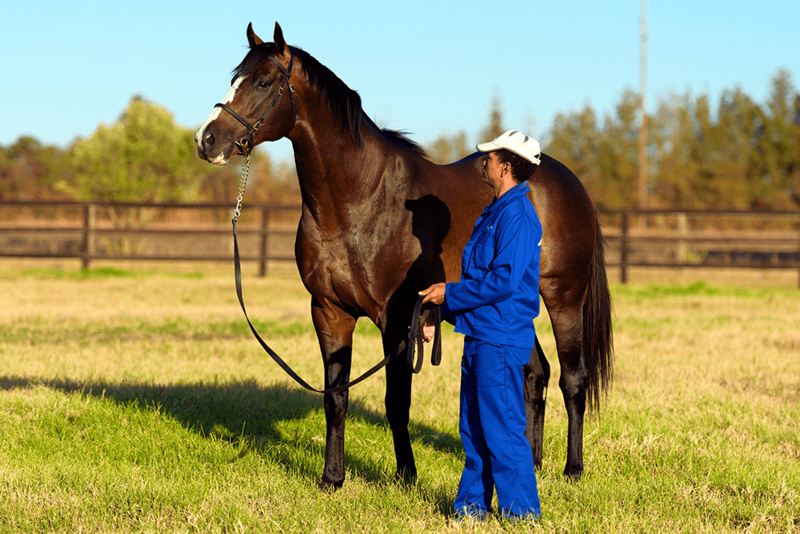 Champion Older Male in South Africa in 2009-10.14 wins to 1400m, £101,275, R2,570,250, HK$7,980,000, 3,044,096Dhs, Turffontein Computaform Sprint H., Gr.1, Clairwood Mercury Sprint, Gr.1-twice, Scottsville Golden Horse Casino Sprint, Gr.1-twice, Cathay Pacific Hong Kong Sprint, Gr.1, Meydan Al Quoz Sprint S., Gr.2, Vaal Senor Santa H., Gr.2, Nad al Sheba Al Quoz Sprint, Gr.3, Turffontein Man o’ War Sprint H., Gr.3, Graham Beck S., Gr.3, Windsor Leisure S., L, Meydan Finest Surprise H., 2d Turffontein Champions Day S., 3d Newmarket July Cup, Gr.1, Newbury World Trophy, Gr.3, Turffontein Sea Cottage S., L, 4th Royal Ascot Golden Jubilee S., Gr.1, Kenilworth Cape Flying Championship, Gr.1, Goodwood Starlit S., L.
EBONY FLYER (07f, Badger Land, Argosy). 8 wins-2 at 2-from 1000m to 1600m, R1,732,550, Kenilworth Cape Fillies Guineas, Gr.1, Majorca S., Gr.1, Scottsville South African Fillies Sprint S., Gr.1, Kenilworth Odessa Stud Fillies Championship, Gr.2, Durbanville Diana S., Gr.3, Arlington Lady’s Slipper S., L, Kenilworth Betting World P., 2d Greyville Garden Province S., Gr.1, Kenilworth Diadem S., Gr.2, 3d Kenilworth Queen’s P., Gr.1. POMODORO (08c, Northern Guest, Averof). 8 wins from 1150m to 2450m, R3,759,275, Greyville Durban July H., Gr.1, South African Derby, Gr.1, Turffontein Tony Ruffel S., Gr.3, Clairwood KZN Betting World Guineas Trial, L, Turffontein All the Best for the Festive Season S., Martin Collins P., Santa Claus P., 2d Turffontein South African Classic, Gr.1, Greyville Fixed Odds Exotics S., 3d Turffontein Presidents Champions Challenge, Gr.1, Kenilworth Queen’s P., Gr.1, Clairwood Gold Challenge, Gr.1, 4th Kenilworth J&B Metropolitan H., Gr.1, Turffontein Dingaans H., Gr.2. FLOATYOURBOAT (02g, Foveros, Coastal). 5 wins-2 at 2-from 1000m to 2000m, R969,025, Kenilworth Cape Derby, Gr.1, Merchants S., Gr.2, Cape Classic S., Gr.3, Western Cape Breeders S., L, 2d Kenilworth Cape Guineas, Gr.1, Queen’s P., Gr.1, Premier’s Trophy, Gr.2, 3d Kenilworth Selangor Cup, Gr.2, Cape of Good Hope Nursery, Gr.3, 4th Greyville South African Guineas, Gr.2. FLY BY NIGHT (09f, Model Man, Great Brother). 6 wins at 1000m, 1200m, R1,570,550, Clairwood Mercury Sprint, Gr.1, Kenilworth Southern Cross S., Gr.2, It’s a Rush Racing P., 2d Scottsville South African Fillies Sprint, Gr.1-twice, Greyville Post Merchants H., Gr.2, Kenilworth Diadem S., Gr.2, Fairview Lady’s Pendant, L, Kenilworth Olympic Duel S., L, National Womens’ Day P., Equisure Bloodstock H., 3d Scottsville South African Fillies Sprint, Gr.1, Kenilworth Diadem S., Gr.2, Sweet Chestnut S., L, Complimentary Snacks After Racing H., 4th Greyville Mercury Sprint, Gr.1, Kenilworth Sceptre S., Gr.2. GLUWEIN (06f, Our Casey’s Boy, Where to Dance). 3 wins from 1200m to 1600m, R339,975, Kenilworth Majorca S., Gr.1, 4th Turffontein Starling S., L.
JET BELLE (09f, Ahmad, Saint Sever). 7 wins from 1150m to 2000m, R1,173,200, Greyville Gold Bracelet, Gr.2, Clairwood Poinsettia S., Gr.3-twice, Turffontein It’s a Rush Racing S., Seal ‘n Devices P., Thank You For Your Patronage H., 2d Kenilworth Sceptre S., Gr.2, 3d Kenilworth Paddock S., Gr.1, Majorca S., Gr.1, Turffontein South African Fillies Classic, Gr.1, Greyville Woolavington 2000 S., Gr.1, South African Oaks, Gr.2. SHE’S ON FIRE (02f, Concertino, Sparkler). 6 wins from 1300m to 2000m, R1,415,705, Turffontein Gerald Rosenberg S., Gr.2, Jubilee H., Gr.3, Newmarket PSL Soccer 6 H., 2d Turffontein Gommagomma Challenge, Gr.1, Gerald Rosenberg S., Gr.2, Newmarket Yellowwood H., Gr.3, Vaal Racing Express H., 3d Turffontein Jacaranda H., Gr.3, Wolf Power H., L, 4th Turffontein Empress Club S., Gr.1-twice, London News S., Gr.3. JET EXPLORER (08g, Icelander, Realm). 8 wins from 1400m to 1900m, R1,205,160, Greyville Betting World 1900, Gr.2, Fairview East Cape Poly Challenge, Friendly City S., Founders Trophy, Racing It’s a Rush S., Kenilworth Rugby 5 S., 2d Kenilworth Jet Master S., L, Scottsville Sledgehammer H., L, Independent Arts & Pleasure S., Fairview Air Mauritius International Jockeys’ Challenge S., Racing It’s a Rush S.-twice, Kenilworth Picnic or Braai H., Soccer 4 H., 3d Kenilworth Queen’s P., Gr.1, Fairview Memorial Mile, L, Kenilworth Jet Master S., L, Fairview Rugby 5 S., Kenilworth Jet Lounge After Party H., 4th Kenilworth Queen’s P., Gr.1, Greyville Champions Cup, Gr.1, Kenilworth Peninsula H., Gr.2, Fairview Memorial Mile, L.
HALFWAY TO HEAVEN (07f, Rambo Dancer, Our Casey’s Boy). 7 wins from 1200m to 1800m, R443,350, Kenilworth Prix du Cap, Gr.3, Scottsville Off to Stud H., L, Kenilworth Dominion Royale Shiraz Reserve H., Get Set For The JandB Met H., Durbanville Soccer 6 H., 4th Clairwood Tibouchina S., Gr.2. THUNDERING JET (04g, Hobnob, Connaught). 5 wins from 1400m to 1800m, R597,905, S$194,872, Kenilworth Matchem S., Gr.3, Singapore TC Chairman’s Trophy, L, 2d Kenilworth Peninsula H., Gr.2, Chairman’s Cup, Gr.3, 3d Kenilworth Selangor Cup, Gr.2, Greyville Lonsdale Stirrup Cup, Gr.3, Singapore TC Marsiling Classic, 4th Greyville Durban July H., Gr.1, Kenilworth Green Point S., Gr.2, Clairwood Darley Arabian H., L.
TRUE MASTER (09g, Badger Land, Royal Prerogative). 11 wins from 1400m to 2400m to 2017-18, R875,330, Fairview East Cape Derby, Gr.3, Scottsville Olivetti Corporate H., Fairview Air Mauritius International Jockeys’ Challenge S., Interbet.co.za S., Racing It’s a Rush S., Rugby 5 S., Kenilworth Wcet H., WP Forklift Trucks H., 2d Fairview Memorial Mile, L, Fairview 1800, Kenilworth Itsarush.co.za H., 3d Fairview Fairview 1400, Racing It’s a Rush S., Kenilworth Ferrari Showcased H.
WHATALADY (10f, Model Man, Foveros). 5 wins from 1200m to 1600m, R492,225, Turffontein Acacia H., Gr.3, Thank You for Joining Us Today S., Vaal Itsarush.co.za H., Racing It’s a Rush P., 2d Vaal Itsarush.co.za H., 3d Turffontein Book a Table at Our Next Raceday H.
JET LEGEND (07c, Northern Guest, House Guard). 5 wins-1 at 2-from 1000m to 1600m, R330,525, Greyville King’s Cup, Gr.3, Turffontein Racing Association H., Scottsville All to Come P., 2d Greyville UK Soccer 4 H.
ULTIMATE DOLLAR (11g, Western Winter, Del Sarto). 4 wins from 1400m to 2200m, R622,975, Greyville Tabgold H., Gr.3, Kenilworth Schweppes H., 2d Greyville BNR Agencies Progress P., 3d Vaal Supreme Cup, Gr.2, Fairview Racing It’s a Rush H., Kenilworth Oratoria H.
JET SET GO (11f, Bletchley Park, Cheraw). 3 wins-2 at 2-at 1000m, 1400m, R305,925, Fairview Champion Juvenile Cup, Gr.3, Durbanville Racing It’s a Rush P., 3d Kenilworth Choice Carriers Championship, Gr.2, 4th Kenilworth Cape Fillies Guineas, Gr.1. His sire sons include Royal Air Force, Pomodoro, Master of My Fate, Ravishing, Skitt Skizzle, etc. ELLIODOR Winner at 1600m, Longchamp Prix de Lormoy. Sire of winners of over $17 million – 71 stakes winners, inc. CRIMSON PALACE, MODEL MAN, PROMISEFROMMYHEART, PERFECT ORDER, SUPER QUALITY, ELDORIZA, KALE, DOUBLE D’OR, LORD SHIRLDOR, FOREST TROGON, etc. Maternal sire of winners of over $36 million – 87 stakes winners, inc. TRADEMARK, DOG WOOD, CORDOCELLI, CHESTNUTS N PEARLS, DONATELLA, OUTCOME, EXHILARATION, ASLAN, KOCHKA, FRENCH NAVY. Secret Recipe. That’s the secret behind Soho Secret, champion broodmare and female line ancestor of champions. Secret Recipe is the third dam of Soho Secret, and the pedigree build-up of her female line descendants makes for a riveting story. Secret Recipe is the first foal of her dam Skye, a classic filly of her year in the UK, and sold for a large sum at the end of her 3yo career to the USA. Skye, a daughter of 2000 Guineas and Epsom Derby winner Blue Peter, is by Epsom Derby winner Hyperion out of a half sister to wartime Derby winner Ocean Swell (also by Blue Peter). Her first stud-visit in America was to Epsom Derby winner Mahmoud, resulting in the filly Secret Recipe. Some pedigree! Although Secret Recipe was no more than a modest winner in her home country, the seed was sown. Through an unraced daughter, Smart Secret (by Dedicate, damsire also of Mock Orange and Natashka, both blue hens), Secret Recipe became grandam of Secret Landing (by First Landing). Secret Landing won a dozen minor races in the USA before being sold as a 4yo to Birch Bros. in South Africa. Soho Secret is her first foal. By now the pedigree had gained momentum. The grandam of First Landing and third dam of Dedicate are both by leading US-sire Wrack, a 3-part brother to the third dam of Skye. Bottom-female line elements, in other words, were piling up. Soho Secret is from the first crop of Regent Street, a highclass French miler (rated 120), standing at Godfrey Gird’s Maine Chance Farms. Regent Street is closely kinbred, as are his sire Gulf Stream and dam Fair Spoken. Gulf Stream is 2×1 Selene x Tide-Way, Fair Spoken is 3×1 Lavendula x Tudor Fair – these come together in Regent Street, who is kin-bred 2×1 Tide-Way x Fair Spoken, and 2x4x2 Tide-Way x Lavendula x Tudor Fair. All of these turn out to be close kin to Secret Recipe, giving 3x2x3 Tide-Way x Fair Spoken x Secret Recipe and 3x5x3x3 Tide-Way x Lavendula x Tudor Fair x Secret Recipe. As it turns out, Regent Street’s sire Gulf Stream (a son of Hyperion) is very close kin to Regent Street’s grandam Tudor Fair as well as to Secret Recipe. Soho Secret has the best race-record of any daughter of Regent Street. Trained by Stanley Greeff in PE, she won two stakes races and placed in the Paddock Stakes (1977, won by Artist’s Pride). Her legacy as ancestor of major winners is impressive. 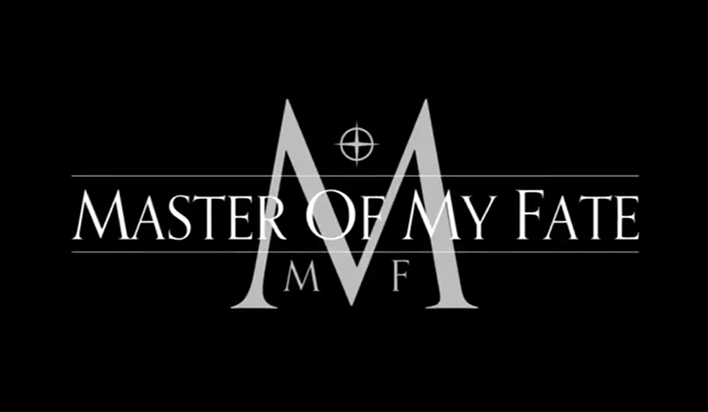 Let’s dissect some of the best of those in the family’s branch leading up to Master Of My Fate. London News, multiple champion and twice Horse of the Year. Sired by Bush Telegraph, whose dam Maiden Over (Persian Wonder) is kinbred 2×2 Lilac Belle x No Appeal. Both go to Soho Secret’s kin-breeding, giving 4x4x3x4 Lilac Belle x No Appeal x Fair Spoken x Secret Recipe. No Appeal also is close kin to Secret Recipe’s dam Skye. Promisefrommyheart, multiple Gr1 winner and Champion 3yo filly. By Elliodor out of London News’ full sister Secret Pact. Elliodor’s third dam Martial Loan makes it happen, giving 4x5x5 Martial Loan x No Appeal x Secret Recipe, and 4x5x6 Martial Loan x No Appeal x Skye. Interesting in this context is Elliodor’s son Model Man, whose dam has a double of Blue Peter, and whose champion daughter League Title is from the same bottom female line as Soho Secret. Pluck, US Breeder’s Cup Juvenile winner. By More Than Ready out of Secret Pact’s daughter Secret Heart (by Fort Wood). More Than Ready’s third dam Good Landing is a daughter of First Landing, and is close kin to Soho Secret’s dam Secret Landing. Covenant, Gr1 placed Gr1 winning sprint/miler. By Western Winter out of Secret Pact. Western Winter’s sire Gone West is out of Secrettame, who is close kin to Soho Secret (the pair 3×2 in the pedigree). Secrettame’s grandam Mixed Marriage (a significant influence in Gone West) is close kin to Secret Recipe, and also to No Appeal (the significant 3rd dam of Secret Pact’s sire Bush Telegraph – see London News, above), Lilac Belle, Tide-Way and is very close to Tudor Fair. In the far background, Western Winter’s apparent significant female line ancestor Golden Feast is kin to Secret Recipe. Master Of My Fate, rated MR 114 at the time of his injury, a potential Gr1 winning rating. By Jet Master out of Promisefrommyheart. Jet Master carries four lines of Lavendula, two from Turn To’s son Hail To Reason, and two from the brothers My Babu and Joy. Jet Master’s damsire Rollins has two of the four. Lavendula appeared as one of four kin-linked female line ancestors in Secret Recipe, as outlined above. The make-up of Soho Secret and her best off-spring, with their many kin-links, gives opportunities. Soho Secret’s own female line descendants, certainly. 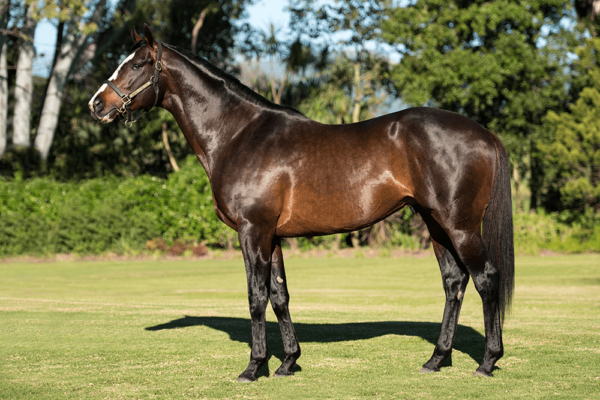 Soho Secret is kinbred 3x5x3x3 Tide-Way x Lavendula x Tudor Fair x Secret Recipe; the first three come from her sire Regent Street, who can be found in some SA female lines. His daughter Miss Lily is especially noted, because of the kin-links of her female line with those of Jet Master (her half sister Run For Lily is grandam of Gr1 Ravishing, by Jet Master). Lavendula is widespread (Turn To/Hail to Reason, My Babu/Joy), but of special interest could be Lavendula’s female line descendants Dynasty and West Man. London News has daughters at stud. His sire Bush Telegraph came into the picture with Lilac Belle (dam of Persian Wonder) and No Appeal (female line of Lords, Song Of Songs). Then there’s Elliodor, through his third dam Martial Loan. Elliodor’s son Model Man (with his double Blue Peter) was noted above as sire of League Title, the latter from the same tail-female line as Soho Secret, and with descendants in SA. More Than Ready came in the picture as sire of Pluck. His son Gimmethegreenlight started a stud career at the same farm as Master Of My Fate in 2013, while there also are a few imported daughters in SA. Gone West was noted above, as sire of Western Winter. Gone West is well represented in the SA mare population, as is his significant female line ancestor Mixed Marriage. The latter shows up as dam of Atan (sire of Sharpen Up) in Dominion Royale, whose grandam Coal Face is close kin to Secret Recipe, and who has a double Blue Peter to boot. Another to note is Right Approach, whose significant ancestor Hypericum is close kin to Secret Recipe, while the pedigree contains Blue Peter and a double Lavendula. Supporters of the theory of female line kin-breeding may want to take note of sires descending from the same bottom-female line ancestry as Soho Secret. They include the very closely kin-bred Tudor Melody (significant among others in National Emblem and Saumarez), Forty Niner (grandsire of Trippi) and Forest Wildcat (sire of Var), the latter’s dam close kin to Forty Niner. Combinations of Trippi and Var in future broodmares are a possibility. remote female line descendants, incl Tudor Melody (notably National Emblem, Saumarez, Second Empire – the latter’s 4th dam very close kin to Secret Recipe), Forty Niner (Trippi), Forest Wildcat (Var); -etc.